A resolution passed by the Ho-Chunk Nation Legislature on August 7, 2018 restricts the use of commercial tobacco and nicotine products at six different health and community building campuses. The objective is to promote wellness for community members and staff. The District 1 Community Center, Madison Community Center, House of Wellness, Green Bay Community Center, Siga Funmaker Community Building, and the Executive Campus (Tribal Office Building and Ho-Chunk Health Care Center areas) have established commercial tobacco-free and nicotine-free environments. Smoking shelters are available for community members and staff at these six campuses. These shelters are the only designated smoking areas. 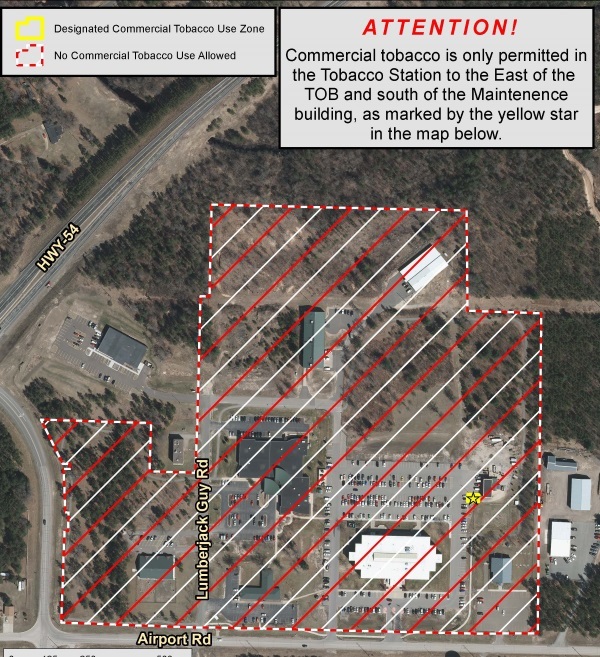 Maps identifying the location of the smoking shelters are available and on display at each facility. Per the resolution, the use of tobacco is permitted on campuses during spiritual or ceremonial activities such as (but not limited to) wakes, funerals, and smudging. The Ho-Chunk Nation is committed to role model healthy behaviors, physically, mentally, socially, and spiritually. The tobacco-free and nicotine-free initiative is effective September 1, 2018. Planning for adding other facilities at a later date is underway.